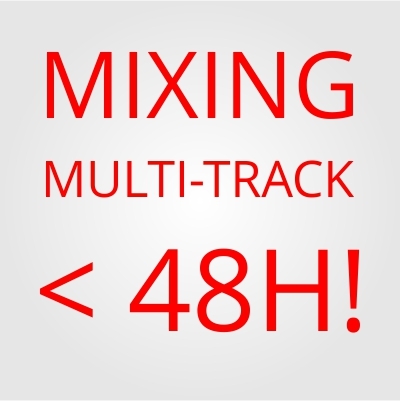 Very FAST and CHEAP AUDIO MIXING + MASTER (MULTITRACK) < 48H! I'm a Music Producer and sound engineer, with over 10 years of experience. The delivery times are ALWAYS UNDER 48h, I can promise you this, unless somehow I get very sick or my gear breaks down! I also have mastering services, check my other services for info. Let's make your track sound fuller, louder and professional!